Digital Catapult has been working with companies large and small to accelerate adoption of some of today’s most advanced and innovative digital technologies. Its collaboration has led to a number of notable achievements including the opening of Europe’s first commercial VR Volumetric Capture Studio, the launch in Brighton of the UK’s first 5G testbed outside of academia and Augmentor - the world’s first bespoke acceleration program for immersive technology companies. 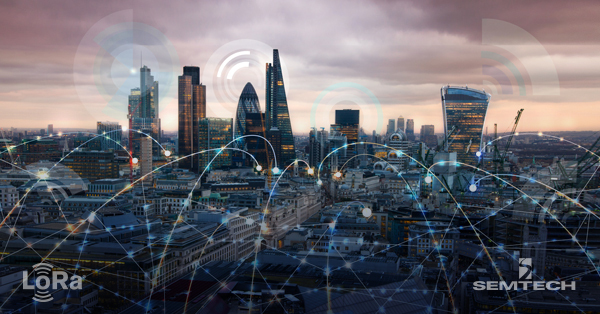 Backed by the UK Government, Digital Catapult recently announced a LoRaWAN-based tracking use case with the Royal Air Force (RAF). The RAF needed to keep track of high value assets in transit and with the support of Digital Catapult, selected LoRa Technology for its long range geolocation capabilities. A LoRaWAN-based network was deployed covering 10 square kms of the active RAF airbase, allowing the consistent tracking of assets located both outdoors and inside buildings. Digital Catapult has a track record for working with companies, large and small, to accelerate adoption of some of today’s most advanced and innovative digital technologies. Its collaboration has led to a number of notable achievements including the opening of Europe’s first commercial VR Volumetric Capture Studio, the launch in Brighton of the UK’s first 5G testbed outside of academia and Augmentor - the world’s first bespoke acceleration program for immersive technology companies. The launch event for the Future Networks Innovation Lab, on January 30 at Digital Catapult in London, included a live demonstration of a LoRa-based smart building solution from Semtech. Sensors installed throughout the building provided data on room occupancy, air quality and temperature. The demonstration showed how sensors with embedded LoRa Technology can transmit data to a gateway up to 30 miles away. Operating on standard AA batteries or coin cells, the sensors can have a multi-year lifespan which avoids regular replacement and thus reduces operating cost. Sensors can be used to monitor almost anything, from building applications to light levels, noise, vibration, leakage, humidity and energy usage enabling a wide range of use cases in vertical markets like smart utilities, logistics and agriculture. Real-time data analytics and predictive algorithms, often presented graphically through third-party applications, enable important alerts and easy monitoring by the end user. In addition to Semtech, Digital Capital’s Future Networks Innovation Lab is sponsored by IBM, Siemens, British Telecom, PTC, ServiceNow, and Texas Instruments. Semtech’s involvement will offer users insights into how long-range LPWAN can minimize the risk and cost of deploying Internet of Things (IoT) projects for networks of the future. Want to stay up to date with all things LoRa Technology? Follow Semtech on LinkedIn.